I've connected before using a earpiece for my phone. But for some reason the virtual reality control will not pair with my Galaxy S4. I even tried an app called Auto Bluetooth connect. Maybe I didn't do something right. But it seems pretty straightforward. I'm not really sure where I should have started. So I thought this would be a good place to start. Welcome to VRHeads! What VR headset and controller are you talking about? As I understand it, the S4 is not supported by GearVR or the GearVR controller. Do you mean a "cardboard" type headset? The headset is a VR box. But I don't use that. I have a hemorrhage in my eye and doesn't really work for me. I started to try and pair up the remote control that came with it. When that didn't work. I bought a VR case remote control. It's the same thing except it has a switch for Android or OSI. 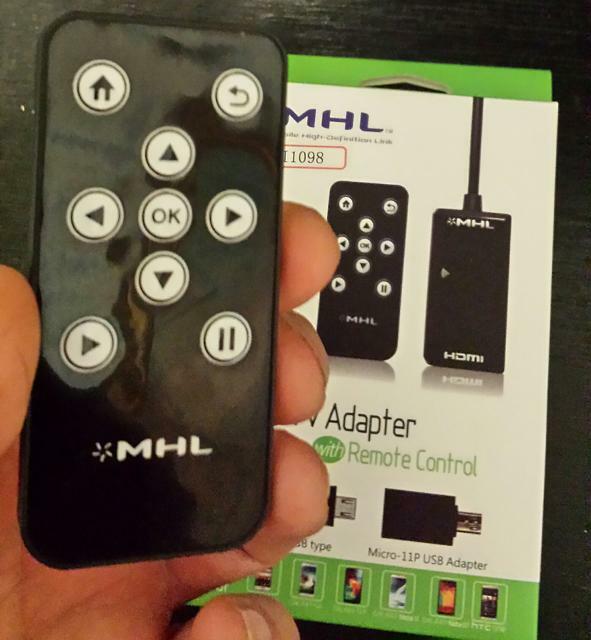 Instead of the headset I connect my Android device to my TV using an MHL cable. I watch a lot of movies through Amazon Prime. It would be nice to be able to use a remote control instead of getting up all the time. When you say gear VR. I'm thinking that is a certain brand of virtual reality glasses. Or do you mean any virtual reality glasses? GearVR is Samsung's VR headset but it only works with the latest, or later than what you have Samsung phones. OK so what you are ultimately trying to do is connect the phone to the TV and operate it remotely from your couch? Instead of a cord why not use a wireless solution, do you have a smart TV? Or any smart devices connected to the TV? Anything that supports DNLP or miracast? Or what about getting a chromecast? That would take a Wi-Fi connection. I am disabled and living on a social security benefits. I can't afford WiFi. My TV is digital But it is old a 720 pixels HD. I'm using my cell phone like a VCR. I download them on a Wi-Fi network at the gym. Then I watch them at night on my cell phone connected to an MHL cable. I dont need WiFi at home. Xfinity wanted $200 a month 4 WiFi and cable TV. I spend $108 a year and get Amazon Prime. In order to make ends meet. I need to budget my income. Right on bro! Ok then yea maybe the remote idea is the best one. I'm not 100% sure what's the right one to get. Thanks! Your efforts very much appreciated. But for some reason that link is not working for me. You gave me an idea. I did a search on eBay for a Galaxy S4 remote. And I found a MHL cable with a remote control, for a Galaxy S4. By the looks of it I should be able to use it for gaming. Again thanks for your help. AWESOME! Please let us know if it gets the job done! I'll do that. It should be here by the 14th. It came in yesterday. I spent last night figuring it out. It does work. But I must say it is a little bit tedious. Sometimes I have to push the buttons a few times before it works. I'm figuring the battery is low. So I ordered a new battery. It should be here sometime this week. If what works. I would say $12.50 is a good investment. Although I do think the remote control Unit is kind of cheesy. Glad you found and are on the way to a working solution! Thank you for giving me some ideas to find a solution. By James Bricknell in forum New to the Forums? Introduce Yourself Here! Should i get the HTC Vive or the Oculus Rift?